A Russian interceptor was reportedly scrambled to stop a United States fighter jet from actively interfering with an anti-terrorist operation earlier this month, the Russian Defense Ministry claimed Saturday. The ministry also accused the U.S. of “provoking close encounters” with Russian jets in Syria continuously. A U.S. F-22 fighter was purportedly preventing two Russian Su-25 aircraft from bombing Islamic State targets to the west of the Euphrates, according to the ministry. Russian ministry spokesman, Major General Igor Konashenkov, said it was “another example” of U.S. aircraft preventing Russian forces from carrying out operations against the Islamic State. Konashenkov added that “most close-midair encounters between Russian and US jets in the area around the Euphrates River have been linked to the attempts of U.S. aircraft to get in the way [of the Russian warplanes] striking against Islamic State terrorists”. He also insisted that the US has provided no explanation for the incident, as well as other similar encounters. The claims were made in response to the Pentagon’s claims regarding “an increase in unsafe behavior by Russian warplanes”. “We saw anywhere from six to eight incidents daily in late November, where Russian or Syrian aircraft crossed into our airspace on the east side of the Euphrates River,” Lt. Col. Damien Pickart, spokesman for USAF Central Command, said. “Our greatest concern is that we could shoot down a Russian aircraft because its actions are seen as a threat to our air or ground forces, and it’s increasingly tough for our pilots to discern whether Russian pilots are deliberately testing or baiting us into reacting, or if these are just honest mistakes”. 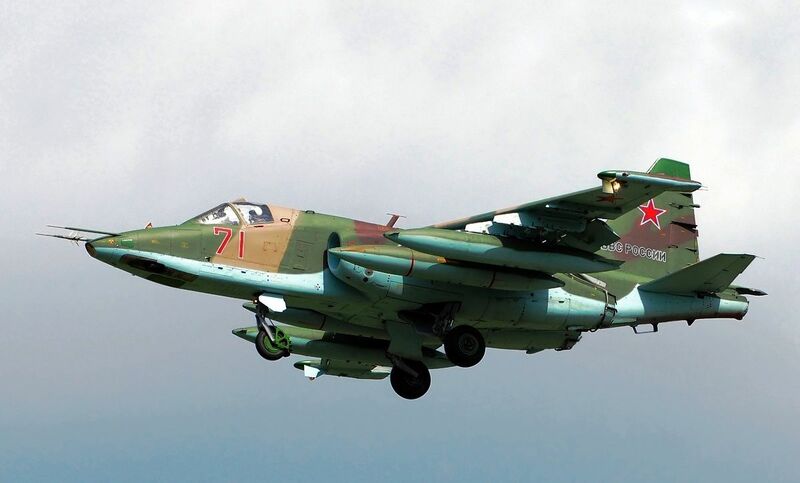 He also said that Russian pilots have been “crossing into the airspace east of the Euphrates and flying dangerously close allied forces,” and that such actions “could be interpreted as threatening, giving our pilots the rights to fire in self defense”. More details to follow. Syndicated from The War Files via Berning Media Network. Image 1 of a Russian Su-22 from social media.